What color are you going to choose for your Galaxy S8? 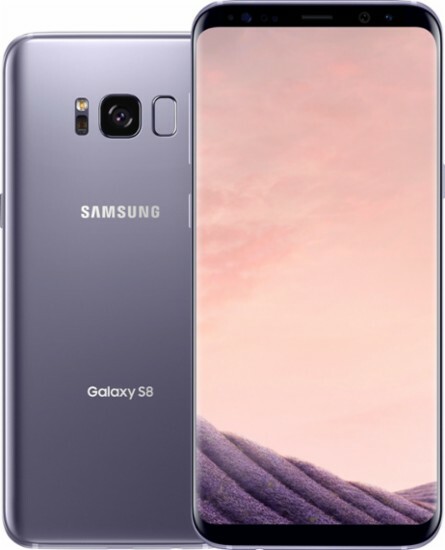 Samsung has started taking pre-orders for the Galaxy S8 and Galaxy S8+ in several markets across the globe. It’s going to release the new flagship on April 21 (and on April 28th in Europe). If you’re planning to buy one there’s a big decision that you need to make. You need to decide which color you’re going to opt for. Customers in the United States can choose from Orchid Gray, Midnight Black and Arctic Silver colors. In other markets they will also have options that include Maple Gold and Coral Blue. No matter what color you choose, the handset is going to look the same from the front because of the very good decision that Samsung made to use a black front on every color variant of the Galaxy S8. The black front does a great job of hiding the array of sensors on the front and focusing your attention on the almost bezel-less and absolutely gorgeous Infinity Display. It goes without saying that this is the color that most customers will likely opt for. Black is the most sought after of colors when it comes to premium smartphones, and Samsung’s Midnight Black color is rich and deep which makes it look really nice and premium. The frame will be black as well which will only add to the overall premium and sleek look of the handset. You should consider this color variant if you’re in the mood to try something new. Many of us have owned a black handset at some point in our lives so it’s good to change it up sometimes. It’s a nice shade of gray that will cater to both gentlemen and ladies as it hits a sweet spot. 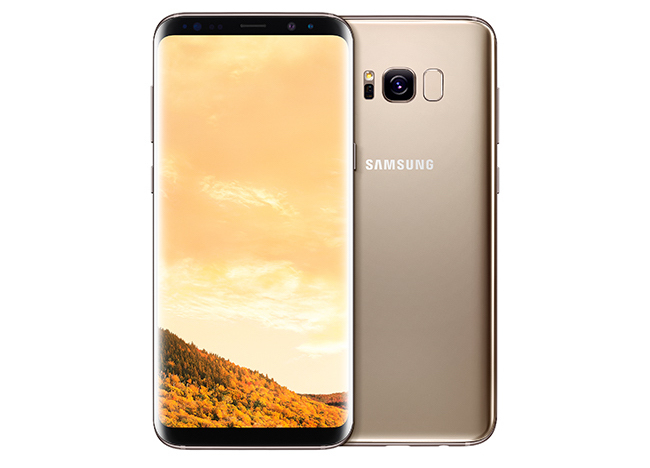 It’s much better than the conventional gaudy gold color option which Samsung has wisely decided not to offer with its new flagship. Gone are the days of pure white smartphones. You don’t get such simple color options anymore. If you’re looking for something like that then opt for the Arctic Silver color variant. The silver color itself is quite strong and looks very stylish, although it also shoots off reflections happily which many might find distracting at times. Samsung’s Coral Blue color proved to be a hit with the Galaxy Note 7 last year, so much so that it decided to launch this color option for the Galaxy S7 edge as well. The company is predictably offering it with the new flagship and it looks just as nice, if not better, than it did on its predecessor. This will be one of the safest color choices for the Galaxy S8, especially for those looking for a color not commonly seen on smartphones yet. This is not your average gaudy gold hue. It’s a more subdued shade of gold. Samsung had to offer this color option as gold tends to perform particularly well in markets across Asia. It might be a bold choice for someone who hasn’t carried a gold smartphone before but at least its understated appearance works in its favor. No matter which color option you choose, you’ll want to protect your Galaxy S8 inside a case, given the fact that its metal and glass construction will be prone to scuffs, bumps, and scratches easily. 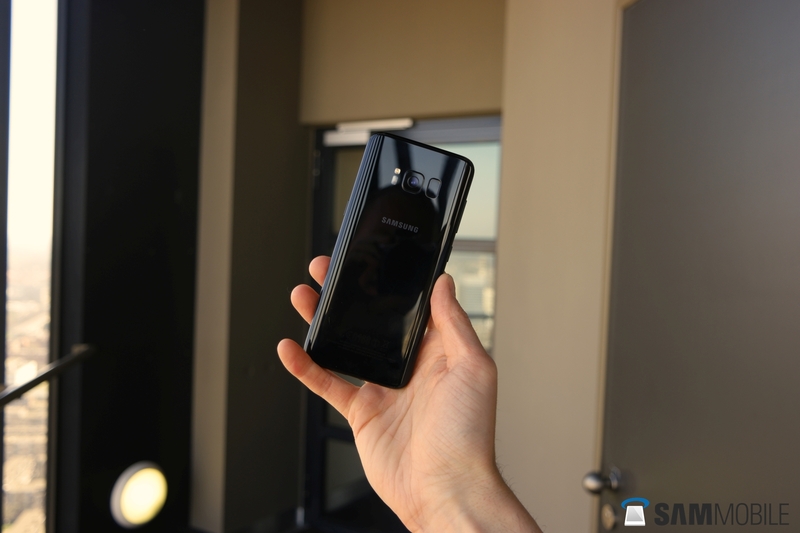 So don’t forget to check out our list of the best cases for the Galaxy S8. Have you decided which color you’re going to opt for? Vote below and let us know in the comments below what do you think about the options Samsung is offering with the Galaxy S8. I don’t agree it was a good idea to make the bezels black. What is the point if the phone looks black no matter what color? Coral blue was a hit because it was coral blue, not black. They should have made the bezels in colors – peoppe who want black can just buy black. 8 colors instead of 4 just to start…4 completely colored and 4 with front in black and back in other colors…I think is too much for Sammy!!! This phone is a BIG disappointment in every color. Only had gold or pink as options when I was forced into the s7e. Hated it. It’s a phone, it should be functional rather than cute. Since when did color become a subject of such deep articles? Where exactly is humanity headed? However the back’s going to be in a case anyway so black’s all I’m ever going to see. Well, that’s thinking very old school. Smartphones anno 2017 are also a fashion statement. I’m not all that fussed about the colour of the device , and they all look ok ,but I’m thinking I might give the grey a go if I like the feel of the the device . I’m not really into the pre order thing with out a hands on first to see if I like it. That is what you want. The S6 Edge sold more than the flat screen S6, same goes for the S7 Edge vs flat screen S7. The majority prefers a beutiful edge screen. I chose the black version. The other colours have a sliver trim around the screen which I found distracting. The black is all black and looks gorgeous. stupid theres even a front out with the bezels already come on. plus those same stupid colors are every dang phone samsung makes…maybe off those colors or at least offee more. lets see aome greens bright, blues, oranges ….colors stink always have. the green s6…heck i still want one. get in gear samsung……and out the old ladie version of colors…..
I’ve always preferred my phones with black front so I have no issues at all with it. I know Samsung put black on the front of all phones mainly to hide all the sensors. However I think it should have put the same colour back and front and let people choose. I went to vodafone the other day just to browse about and play with the phones and I heard two people asking the assistant why they all had black on the front and if there was any with different front colour. I think they were disappointed. Midnight Black is mass destruction of luxury ! I hate it when a phone’s front is black no matter what the phone’s color is. Just make the front same color as the back ofbthe phone. I think they made the front of S8 and S8+ black on all color options to cut the production cost. Now, they don’t need to manufacture seperate color front for different color options. Samsung is not Apple that can practically get away with anything at the moment. I wanted blue but it’s not available in the US so I’m going with the next best thing with Orchid Gray. I played with one at Best Buy and 90% of the time it has more of a cobalt bluish color. I want Coral Blue but Samsung for whatever reason doesnt offer this colour in europe, which is bad. Apple doesnt do such a thing, if it has a colour it offers it everywhere and doesnt chose the colour for your country. that’s not correct, you can buy it in some countries but mostly it is exclusive to one carrier. In Switzerland you can buy the blue version from Swisscom and I read something about the blue version in italy I think vodafone or some other carrier. 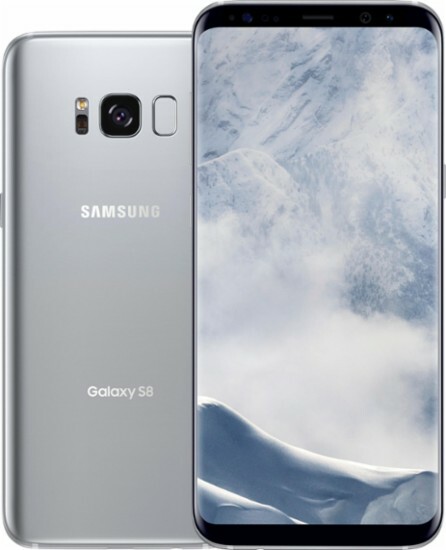 I preordered the S8 + yesterday in arctic silver, since this was the color I originally wanted for the Note 7. This color looks awesome, can’t wait for it to arrive!